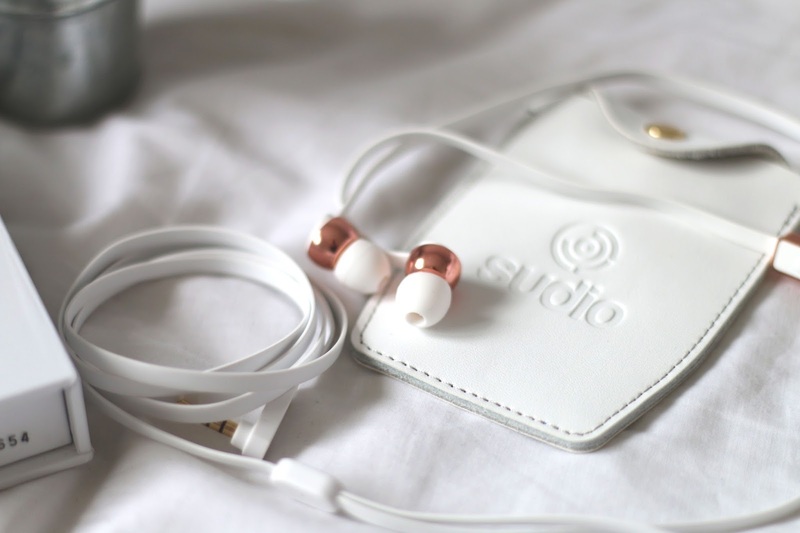 Sudio* are a lifestyle brand who make elegant earphones (as you can tell from above) and offer studio sound quality for a third of what they would cost in stores. It started a few years ago when the founders were looking for earphones. The market consisted of black electronic products as well as street and hip hop products which didn’t fit their style. They wanted a stylish accessory, like a watch or a belt, a brand like Ralph Lauren within earphones. So they decided to create a product they wanted to buy. 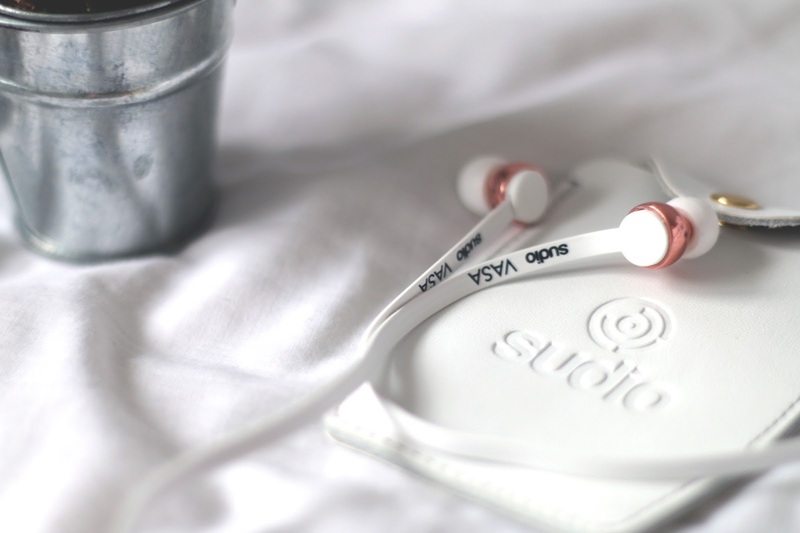 As you can see from the photos Sudio earphones* are exceptionally pretty and stylish. 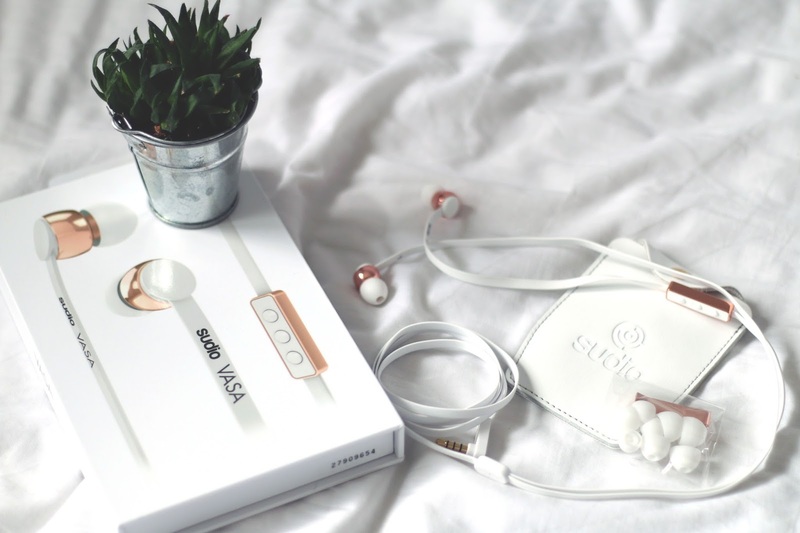 They have a range of earphones to choose from and I picked out the Vasa Rose Gold White earphones which come on, are truly gorgeous and who doesn’t love a good bit of rose gold?! Along with the earphones you get a leather carrying case, four extra sleeves, owners manual and quality assurance card; very professional. Unlike some headphones the lead is flat, not circular, which I think really helps to keep them tangle free because whats more annoying than tangled earphones? I’m glad they come with four extra sleeves because if they don’t fit your ears you can swap them for larger or smaller. Which I found very helpful. As for sound quality, its pretty good. If you’re going to compare them with something then I’d say the quality is just that bit better than the original Apple headphones that come with your iPhone. More than anything they’re ascetically pleasing and I really adore the rose gold aspect and they make a great fashion piece in my opinion. The Vasa Earphones retail for £55 which for a premium pair of headphones is a pretty good price. If you want to pick yourself up a pair of these lovely earphones you can use the code ‘foreverseptember’ for 15% off!